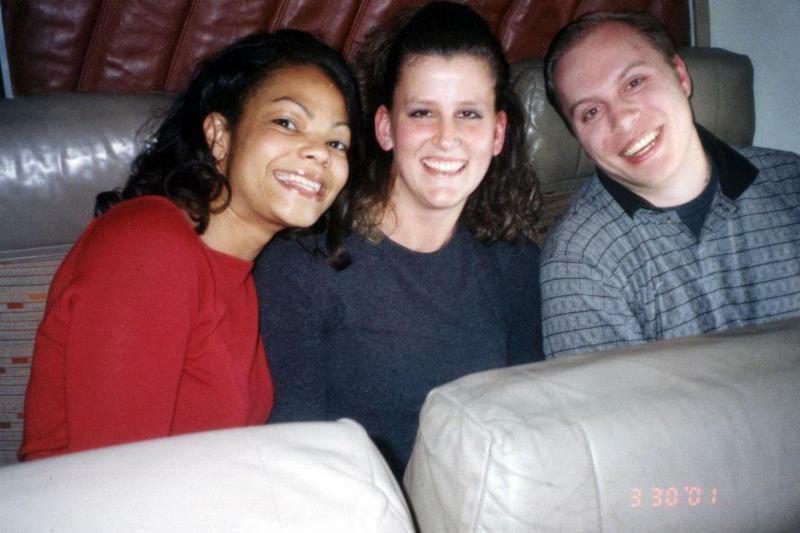 Aisha, left, and Brian, right, with a friend. The United Nations recently reported that the most dangerous place for a woman is in the home. They estimate that of the 87,000 women who died in homicides worldwide in 2017, a majority—50,000—were killed by their husbands and other intimate partners. Not sure you have heard this news that made the national headlines. I was shocked and saddened while scrolling through the news feed on my phone tonight to instantly recognize my friend’s face. Over the weekend, she was stabbed to death by her estranged husband, a lawyer, former judge, and Ohio state representative, in front of her daughters, 8 and 11 (the older one has Down syndrome). I am writing you because I had the opportunity to work for Aisha; she was my direct manager at Ernst & Young in ’01 and ’02 on a project in Kansas City. She was an incredible person and boss! We lost touch after the project, but I thought about her often. I always knew she was such a good person. I didn’t know anything about her situation, family, or daughters. I don’t normally write and share what’s going on with me, but it’s hurting my heart heavily tonight, on a night that we should otherwise be preparing and looking forward to Thanksgiving. I figured you’d donate a couple minutes to read this. Aisha was a small person, but I know she would have been a fighter. Something in me thought that she could have fought her way out of her last few minutes on earth—until I saw the size of the guy who did it. Women don’t have a chance when they’re outsized and outmuscled. I am sure everything she went through since they separated (the opportunities for him to abuse her) was because there was probably some joint custody or it had something to do with the kids. It’s awful. It’s deplorable. She was one of my favorite people from my professional past. In the photo I attached here, we were jetting off with a few other coworkers somewhere amazing—probably New Orleans, or Vegas, or Napa. I don’t need anything from you regarding this. I just know that you have heard and dealt with many stories of violence against women and could absorb this. When I heard how little time the husband did for what he did to her a few years ago, I was appalled. It’s something else when it’s someone you know. Everyone’s always shouting about lowering the incarceration rate for everything… and it probably wouldn’t have made a difference if he was in prison for 10 years versus nine months… she would have still been unsafe. But I wouldn’t be surprised if this a-hole did 10-15 years for this… and that’s so wrong. On another note, Happy Thanksgiving to you and everything you’re spending the day with. Nine months. That’s how much time he served for smashing his wife’s face into the car dashboard, in front of their daughters. Nine months. That’s how long Aisha carried each of her girls. The most dangerous place for a woman is in her home. The most dangerous place for a child is in the womb. THIS is why we do what we do 365 days a year on the Hill, on campus, and online. Our heartfelt condolences to all who have lost someone near and dear this year, including Brian and Aisha’s daughters.